Just like Kiambu Governor Baba Yao Waititu said in a recent interview with Jeff Koinange, Mike Sonko is truly a joker. This after the controversial Nairobi governor ‘updated his accent settings’ while attending the AIDSfree Global Forum in London. While delivering his speech this week, Sonko was a new man altogether as he unleashed his now infamous American accent and polished English. It was reminiscent of the first time Sonko pulled off the accent during the Sustainable Blue Economy Conference in Nairobi last November. 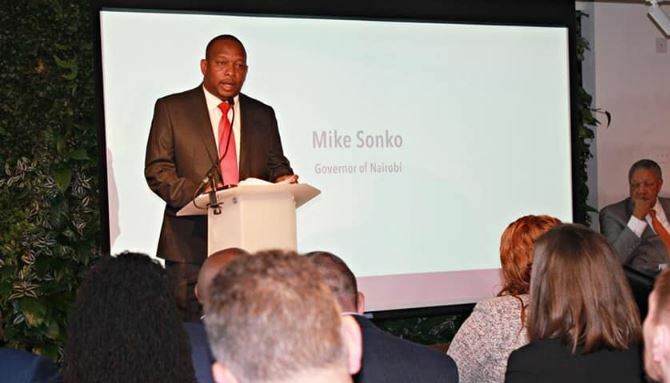 When the foreign delegates had left, Sonko reverted to factory settings and explained that the acquired accent was meant to impress the international visitors and make them “feel at home”. The governor was at it again in London as seen and heard in a video shared on his Facebook page. We are not exactly sure if he was trying the British accent but he did put in his best effort to represent Nairobi ‘Cirry’.